The second level .nz registration process is just about done now with comments closing 5.00pm tomorrow evening. My final comments submitted to the DNC today follow. In essence I can see strategic value in the proposal for New Zealand; I’m concerned at some of the processes that the team went through to get the proposal out there; and their proposed Conflict resolution process is fundamentally flawed, even going against their own core policy principles – in intent. First, there was a clear prior intent by some key players to affect the change. I noted this in the wording of the first mention of the proposal, was suspicious and these suspicions have pretty much become fact in my mind. That’s not a problem per se, but they weren’t honest and up-front about it. DNCL, the people responsible for this exercise have not been entirely open and honest about this. That’s a shame because actually the proposal seems to have merit and if changes to the conflict situation are implemented then for me anyway their sneakiness and devious approach was a wasted effort. By this I mean their use of ‘dodgy’ secret market research. I mention it in my formal response but if you don’t or won’t answer simple questions then you know that BS is in the air. My take on it is that there was no formal research and that the Chair knows it, but still used it for it supported his case. I emailed him privately and invited his comment before I posted the formal response but he didn’t respond, certainly not by close of business so for me, until I hear otherwise, he’s in on it. Getting or presenting majority approval when there was no need for that too is a nonsense. Leaders lead. They listen and then act in the best interests of the people, supposedly. Grovelling around trying to present things as all sweet when they are not will backfire as I think it has by silencing Trade Mark and Intellectual Property concerns. They’ve got majorly offside with a lot of people by misreading their sentiments, trying to bury the matter under various dubious claims and then hoping they can get away with what they want to do and think is best. Basically I think they were out of their depth when changing the rules that affected the whole country and well, screwed up in the credibility and PR department. when they mean that they’re going to do very VERY well out of it then they lose my respect. As I say in my formal response, this is the understatement of the year AND last year combined. They are thick if they think we can’t see through that one! In my case I took on the DNC primarily because of this two-faced stuff, saying one thing but actually doing another – saying that they will listen then finding out that really under the hood, the decision had already been made. These guys are not alone in this sort of conduct but just because politics is everywhere doesn’t make it right – certainly in my book. Thank you for giving further opportunity to comment. During the consultation process I have seen stronger reasons for the proposed change and can see more of the benefits of the proposal, especially in the longer term and if my concerns expressed herein can be addressed. On both a domestic and international level, the Domain Name System (DNS) is constantly changing. A decision to retain the status quo is therefore in effect making a call that the .nz space will remain relevant in the future with its current processes and that no change in .nz is required. DNCL does not think a decision to continue the prohibition on registrations at the second level will be beneficial for the .nz name space in the medium-term. But I have however seen no cost-benefit analysis, nor projections. I find the total absence of any positive cashflow projections following on from this initiative. More on this in a minute. I note also your wholesale rejection of the direct application of Trade Mark and Intellectual Property rights but call foul on that one in the spirit of “first-come-first-served”. I note also the total absence of any positive cashflow projections following on from this initiative, which I find intriguing. More in a minute. Of course I accept the change as you decided in 2013. Well done. There are however some considerations in implementation that are still of concern to me, one previously raised and simply not even addressed (!) and others as a result of recent changes and potential problems as a consequence of the changes. Failing to provide information on who did the surveys, the methodology and so on wouldn’t matter in the whole scheme of things if it was only used as preparatory work for the proposal, however you introduced the results of these as MAJOR FACTORS in your recommendation of September 2013, thus the Board used this “research” as a key component of their decision-making as a direct result of YOUR WORDS. The support received during the consultation reflects the result of research undertaken in the past that also showed there was support for allowing registrations directly at the second level. While in 2003 only 25% of New Zealanders showed a preference for being able to register domain names directly at the second level, in a 2011 survey 59% of registrants said they prefer myname.nz. In this study, only 31% said they preferred myname.co.nz. In a 2012 study that exclusively targeted business owners, 59% said they supported a change that would allow them to register domain names directly at the second level, with only 14% opposed. In this same study, 41% of businesses also said they would use a anyname.nz name in preference to their current domain if they were able to, while 39% said they would stick with their current domain. That suggests that around 200,000 businesses would remain unable to register the name they would prefer, if there is no change to the policy. Both these survey results, and a number of the submissions received, indicate there is support of the proposed change by the Local Internet Community. I believe that the Chair of DNCL should be not only working with facts, but to be seen to be working with facts, not generalizations the nature of which look like to put it politely – a piece of political ‘spin’. You personally and the entire decision could be exposed very badly if for example I find that either the work was actually only anecdotal, or that it was undertaken, funded or supervised by a vested interest, or that the questions were leading etc. I have observed the wording of your various materials develop over the time of the proposal and there are fairly strong indications to me that a small sector of the industry has been pushing a particular agenda, has secured the political support necessary, used the systems well and won the day. I don’t mind that IF it has been done fairly and openly but I actually want to see this information and assess the basis upon which you have developed your recommendations. If you do not make this information openly available along the lines of the transparency that InternetNZ is supposedly proud of then you are exposing yourself and the entire process to possible claims that it was all a jack-up by vested interests, regardless of the validity of any other arguments. Simply not addressing this issue that I raised at the outset is for me suspicious. Why have you not published this information? You personally have commercial interests in the research field. What was your or your company’s involvement in these “potentially dodgy” but very clearly important research/surveys? Do you not respond in detail because of something personal with me? Or do you know there is something less-than-kosher about this early research work? Or do you build your various careers on thorough quality research, with open and honest business practices with quality thought based reliable sources of information? I think that in the interests of all, this information should be made available, and preferably before any active publicity campaign starts, for the last thing you will need is doubt raised in a public forum from a “detractor who hasn’t had his basic questions answered” just as you will no doubt try to show the world that you are professional, thought-leaders and that you conducted a full, fair and transparent process. Please provide us (the industry and the public) with meaningful information that addresses this concern. Obviously I respect your personal analysis of surveys and market research and I trust that you would already have made assessments on the quality and source of this information. I would like to see your personal take on who did what, when, for what return and why to establish these figures and to know how you personally derived them. I actually don’t care if you were paid under the counter to beef-up the hidden agenda for vested interests or not, but I do want to know the facts from you so that I can blog my support or otherwise of DNCL’s processes. Facts surrounding these surveys/research are conspicuous by their absence and as you know well know, silence invites conspiracy. It is my submission that the current proposed solution to a potential conflict resolution is fundamentally flawed; runs counter to a core InternetNZ policy principle (that of first-come-first-served – certainly at the big-picture level), is unnecessarily complex, doesn’t handle conflict constructively and is just downright unfair. Yet in your proposed conflict situation you actually do this! That may be technically so but it misses the points I have made above and introduces problems that do not suit the underlying intent of the existing published document. Who would have thought that this situation would exist when writing the core principles? The reason that first-come-first-served is widely appreciated is that it seems fair – because it is fair but this potential conflict situation is definitely not! In reality THERE NEED NOT BE A CONFLICT SITUATION – just follow the heart of your own policy guidelines and structure the rollout as if it had happened in real-time historically, that is by date of first application which of course is only . . . fair! What I think is an error in your logic has occurred because you believe that because .nz is a new option that is it therefore optional. This is technically correct but in practice it is not and will never be, which is why so many people including me have objected to aspects of this proposal as it stands. They and I, invested into .co.nz believing that it was and always will likely be the default for business in New Zealand. You are (from their perspective) unilaterally changing the playing field and this potential loss of control is a major concern. This potential conflict is not just a case of legitimacy, it is a potential conflict BECAUSE YOU CHANGED THE RULES! Legitimacy has to be established in an entirely new scenario, for this situation has not risen before. If DNCL accepts that (and clearly wants) the .nz name to be the simpler default standard for a primary New Zealand brand/entity, then they should be approaching the conflict situation from the other angle, what’s fair in terms of first-come-first-served. The solution to conflict resolution is to avoid the conflict in the first place, amend your proposed conflict resolution process slightly and use the Sunrise period to determine Preferential Registration Eligibility based on the date of first registration. This would simulate the real-life scenario where Registrants that were keen to secure or protect the primary Internet real estate in New Zealand for their name/brand would have (historically) registered the .nz equivalent at the same time as they did their first choice (most commonly the .co.nz equivalent). The problem is that DNCL talks constantly about the first-come-first-served policy, yet when it comes to handling conflicted names as I see that you totally abandon this principle. Registrants have all invested into their online brand and Trade Marks to some degree, some quite heavily. Taking an approach that .nz is “just another option” does not acknowledge the reality that the .nz version will become to be seen, and the proponents by their own words WANT it to be seen as the primary New Zealand reference point and that YOU have changed the rules on them. Either you know that or want.nz to become a valuable resource (in which case you will need to favour registration date-based prioritizing) OR you believe that it is just another option (in which case you should simply make it a lottery and have a ballot system). You can’t have your cake and eat it at the same time! I registered dennis.co.nz in January of 2000. Someone else registered dennis.org.nz years later and the name has been and is currently parked. At this stage even though I was years ahead of others in the domain space and have invested massively into this space, it looks to me as though someone who has come into this space relatively recently can potentially prevent me obtaining or using what will of course become the primary domain dennis.nz, AND potentially, FOREVER! If I had known that DNCL was going to change the rules that would in the future have prevented me from having something that I consider commercially valuable and something I wanted to secure (which was the prime Internet real estate for “dennis” in NZ) then I would have unhesitatingly done whatever it would have taken to secure that, even registering every single variant of the domain to protect my position. In this regards I feel for the Trade Mark people and larger companies who can potentially see their investment into protecting their brand from the earliest days possible totally destroyed. So, if I became aware that in the future, .nz would be the primary extension, I would have registered .co.nz AND .nz in January of 2000. Years later the organization that sought and registered dennis.org.nz AT THAT STAGE would not have had any options on dennis.nz because I would have been there, years before! It’s simple natural justice, AND the basis of all Trade Mark principles AND Internet policy principles that the .nz domain be at least offered to me first, and then only if I’m not interested to others down the chain of Preferential Registration Eligibility based on the date of first registration. My advice is that you MUST walk the talk and incorporate the DATE of first registration as the ONLY factor in a conflict situation – nothing else. ALL conflict situations will then disappear, period. To me the matter is very simple if InternetNZ’s policy is first-come-first-served. You’re introducing a new option that will become (and I guess you want to become) a new default standard. So simply allow the first registrant of a given name the option to register their .nz equivalent. If they pass on that opportunity, offer it to the second, and so on based on the first date of continuous current registration and you have no conflict situation. The proposed systems can still be used to facilitate this exploration of Preferential Registration Eligibility but it will be based on the date of first registration and the Registrant’s exercise of those rights rather than complex who says/thinks/feels something. The policy would then be based on your own values, principles and standards; it is logical, easily understandable and is perfectly fair. I would also venture to suggest that you would have immediate support from many in the Trade Mark and Intellectual property industry with this simple change. God help Internet NZ’s reputation if high value domains end up in unresolved conflict situation and large companies or organizations are required to “settle” with very lucky people who get big windfalls as a result! The .nz namespace will end up a laughing stock of the domain world. How are you going to maintain this status? Is it potentially forever? Literally? Are you kidding me? How will I know when the other name(s) lapse or are cancelled? Do I sit there every 59 days checking to see that the holding owner didn’t cancel it? All this just in case his name is cancelled or lapses and then his priority rights are dissolved? Or are you going to advise me of this changed situation? Are you going to record the fact that I have a lien on the name dennis.nz simply because I want it? Did I pay anything to have that privilege or can I still have that first right forever? All this of course can be resolved by removing any conflict situation and allocating priority rights by date-based formula. DNCL is entering a minefield with any reference to Generic Names. Which Registry in the world in which jurisdiction currently determines “generic use” and on what basis and why? WTF is a generic name anyway and who is going to judge this and at what time and place? Before I can register a name? After it? You are introducing the same sort of problem that we had to deal with back last century whether or not certain combinations of letters represented good, bad, desirable, offensive or illegal use of a domain name. The industry long before DNCL or its predecessor even existed decided on a hands-off approach so that classification of names was entirely technical and not social. Now in 2014 we’re classifying names based on ‘genericity’? Use of the word Generic Names into any legislation will invite problems. If I name my dog Wellington then what is that – generic or not? I want to have dennis.smith.nz. Now what? Is Smith generic now? Is a name generic or not? If so, then why? If not, why not? What if I change my name by deed poll to [whatever] will dotcom (or whatever) be a generic or not? I recommend that you remove all references to Generic Names and solve your perceived problems another way. It is not primarily a financial decision, though it is acknowledged that as part of securing .nz’s future, it is also keeping the revenue stream for the InternetNZ Group secure. DNCL has approached the decision as a strategic one, not as a financial one, and anticipates that InternetNZ shares this view as being the appropriate one. This is why the focus of this paper is on the strategic aspects and is not a financial business case. The rationale that the change has always been for strategic reasons and not for financial gain was expressed in our consultation documents. Again, as with the missing research and survey information you recommend a major proposal without ANY reference to financial matters, other than stating essentially that there will be some additional costs. Where are the cashflow projections? Where is the projected analysis of what it will cost various businesses in additional fees? Has nobody done anything to predict what will happen to the coffers when the doors open to .nz and after the two-year free-registration is up? It is inconceivable that a Board would look at strategic only and not discuss financial matters, and especially with a major decision like this. 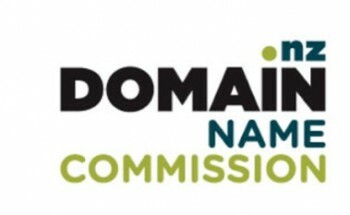 One of the InternetNZ TLD Principles is that “domain name markets should be competitive”. InternetNZ has no intention of abusing its dominant position for New Zealand domain name registrations but likewise also wants to ensure that .nz remains competitive against other TLDs for when New Zealanders are making a choice about where to register their domain name. My .nz domain name costs will double in two years. Your newspaper headline will be “.nz domain name costs will double in 2 years for most businesses”. I would bet a lot that, not only will the turnover of all parties in the chain see increased turnover and profitability, but that you will even pronounce success with the massive uptake of .nz domains. Great. I will then look forward to seeing the costs of .nz domains halve then, or by then. are nothing less than at best a slip of the tongue and at worst a deliberate deception. Let’s be honest about it, it will be nothing of the kind, rather more of a major windfall and mark my words, a very large return on investment for your stakeholders! Thank you for the opportunity to comment yet again.